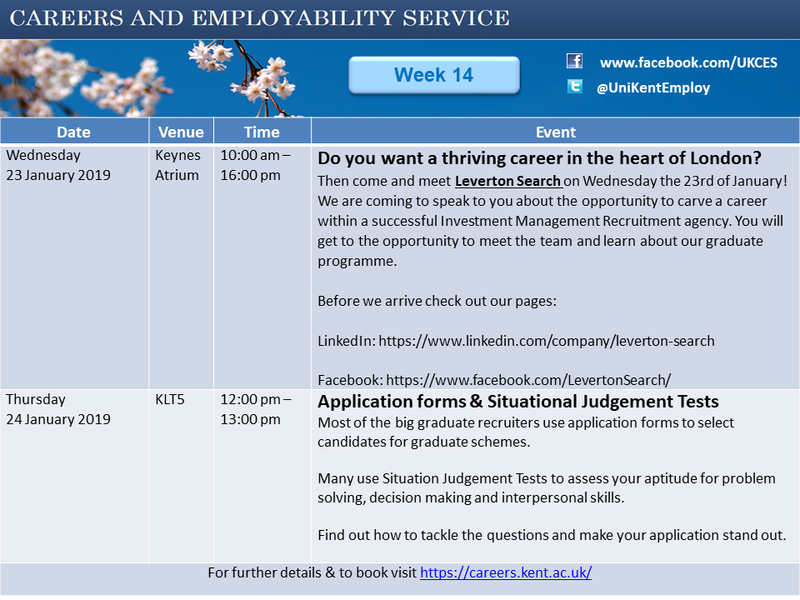 The Careers and Employability Service is holding a pair of focus groups with students next week, and you are invited to go along. 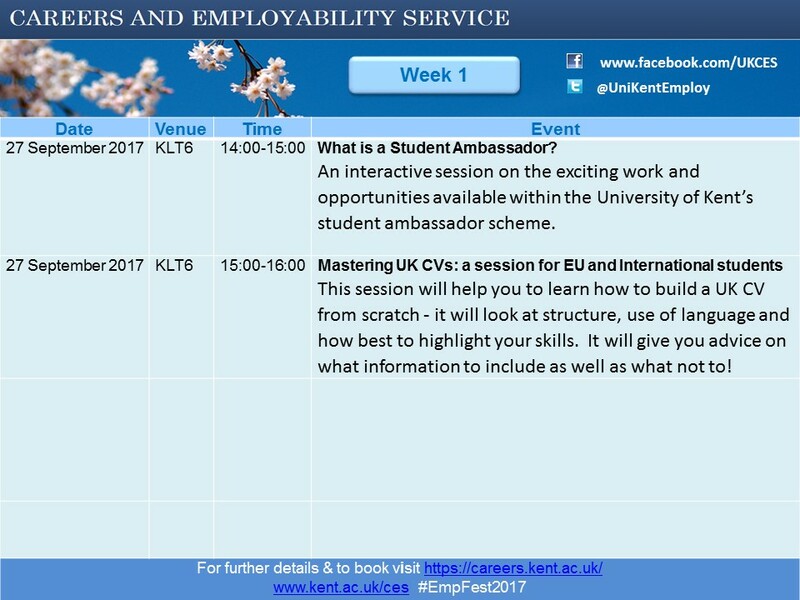 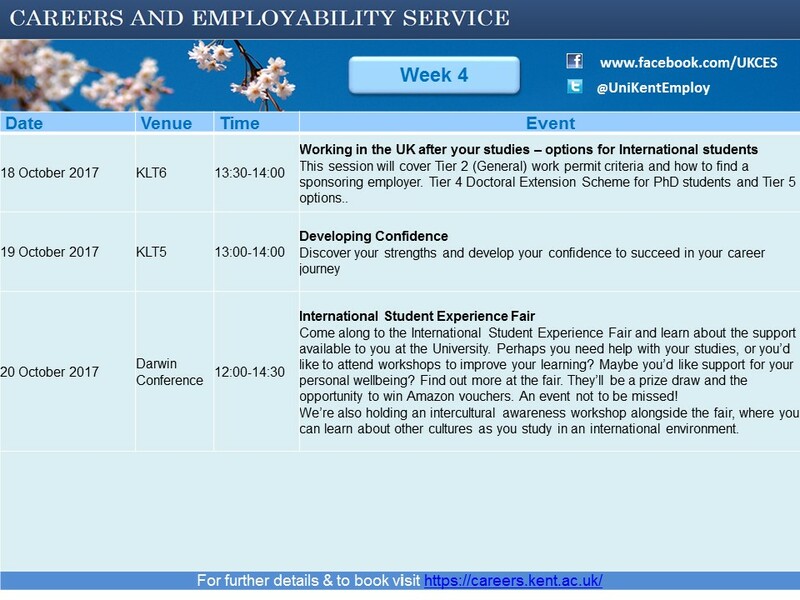 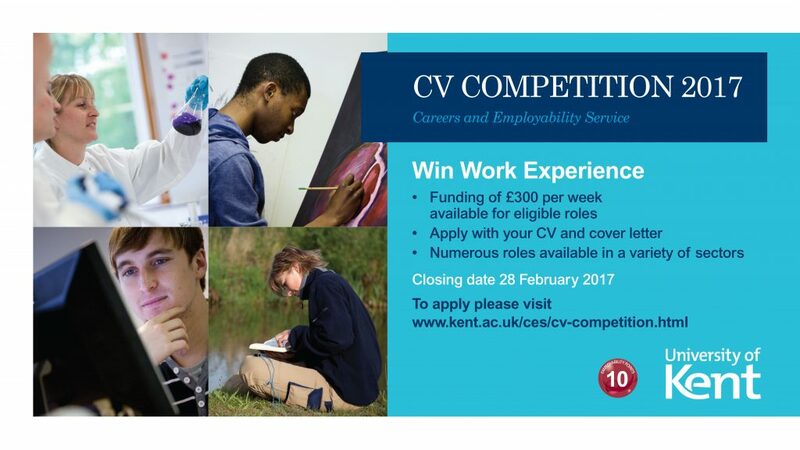 As thanks for taking part, the CES will be offering a free Lunch, 10 Employability Points, and – most importantly – the chance to have your say about student employability and the support on offer at the University of Kent. 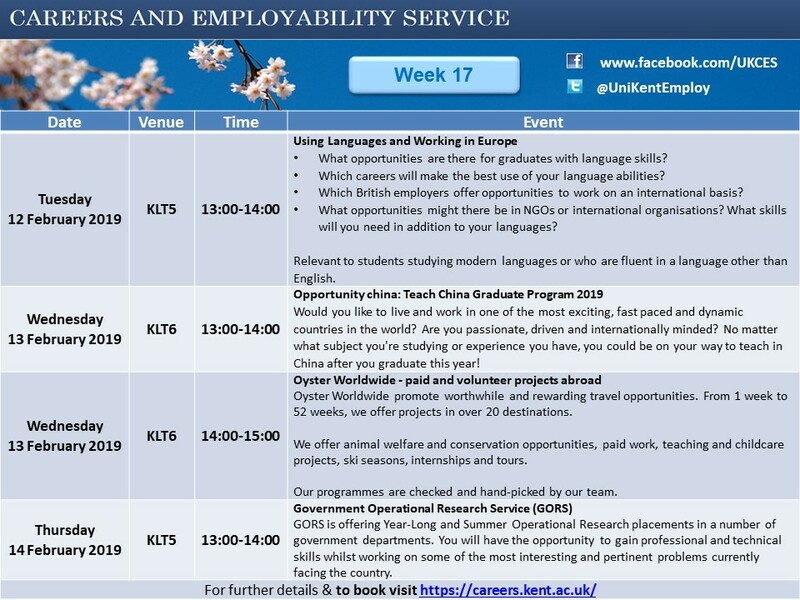 The focus group sessions will last one hour, and will start at 12noon and 2pm (you can pick which session to go along to) on Tuesday 14th November in Rutherford Cloister Room 15. 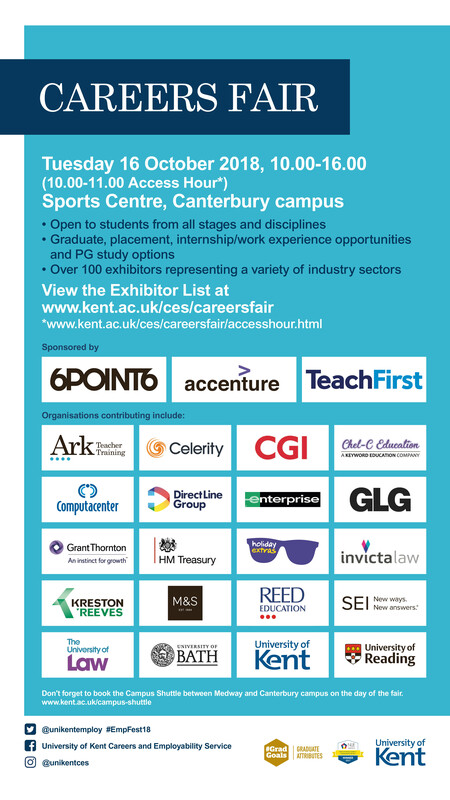 If you would like to take part, please email careerhelp@kent.ac.uk with the subject ‘Focus Group’ to register your interest by Friday 10th November. 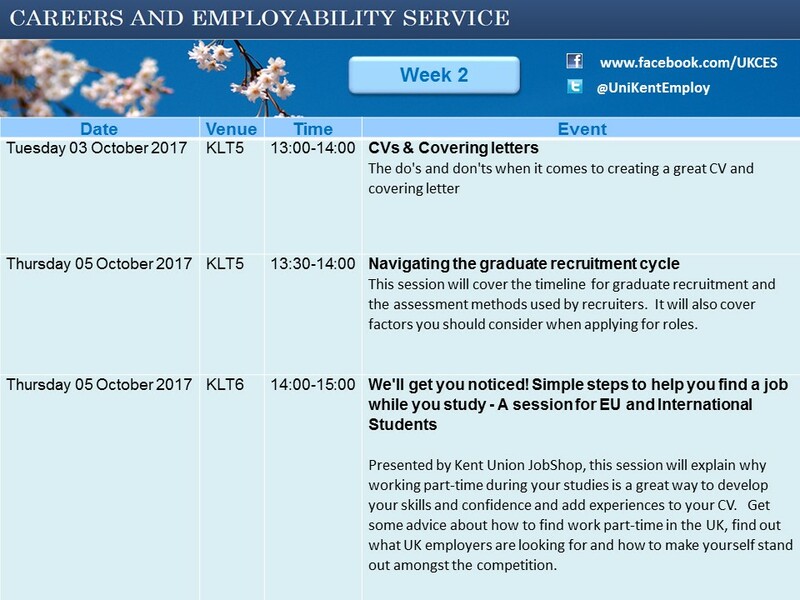 The University of Kent’s Careers and Employability Service has been shortlisted by the National Undergraduate Employability Awards for ‘Best Careers/Employability Service in the UK’! 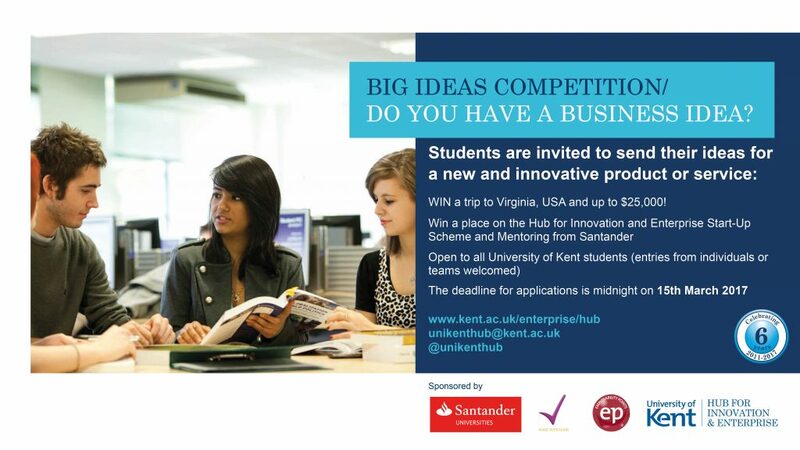 To see the full press release about the award nomination, head to the CES website.